Thank you Penguin for letting me review this book. No compensation was given to alter this review. It has come to my great despair to not finish this book. I have heard several great thoughts and reviews of Strange Angels so I assumed this would be just as good or even better. Well..maybe not. Originally, I started to read this book about a month ago, I stopped within 5 pages due to its mind fumbling writing and slow pace. At her picking the novel up again, I gave up because my first thoughts were correct. Nameless showed great potential. I kind of understood the direction of where this book was going but confusion dominated this novel as well as the monotonous/cryptic writing. Okay, maybe not cryptic but incoherent. There was so much happening over shorts spurts of time, I just couldn’t do it anymore. Because of envelope 4, Ginny and a playwright/thief/ bloke-about-town called Keith go to Scotland together, with somewhat disastrous-though utterly romantic-results. But will she ever see him again? 13 Little Blue Envelopes is a quick, light read that will intrigue young readers from the first page. This ‘road trip novel’ is filled with adventure and a cute romance. Maureen Johnson manages to pull off an entertaining story in 300 pages that may not fulfil older readers’ expectations. Looking at the Goodreads shelves for 13 Little Blue Envelopes, I’m quite positive that this should actually be under ‘Middle Grade’. Now I love the MG genre, in fact, my top two authors are MG writers, so my level of expectation for a MG novel is set at the stars. 13LBE most definitely did my reach my standards. There were so many holes in the plot and the main character was so oblivious and annoying. While I thought the plot line was excellent, the way it was executed was horridly poor. All in all, I am not a big fan of Maureen’s novel, it was my first one by her, and probably the last. Everything seemed to childish and just not for me. MG people can try this but MG readers may dispute this as it had nothing too remarkable or anything that screamed depth. I have had 13 Little Blue Envelopes for a while. I still haven’t read it yet. It sounds really cute though. It’s too bad it didn’t really work for you. I think going into it knowing it’s more MG like might help me to enjoy it more than if I had expected it to be YA. Yeah.. But the GR selves had it as YA… GR can be such a liar… Hope you enjoy it! 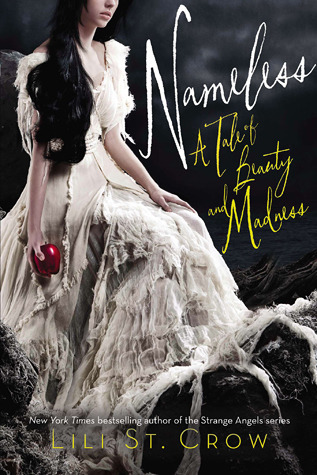 Nameless is so disappointing because look at the cover! Boo-urns! haha. I really enjoyed Maureen Johnson’s other series but this one has gotten not so great reviews and I don’t think I would like it much either. It does sound a little too youngish for me as well. I love your graphic! Being your age, I couldn’t do anything like that, so awesome work! Props! I have heard a lot of iffy reviews for 13 Little Blue Envelopes. Might want to take this one off of my TBR. Well, thanks for letting me know. Nameless looks kinda weird from the summary, so I’m not surprised it didn’t live up to your expectations. 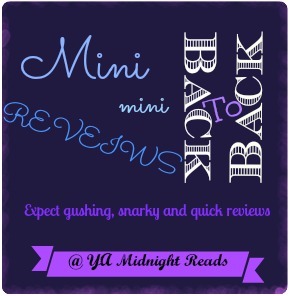 I really like to see a blog including reviews of a book even if it was a DNF for them. I hate to just see all good reviews. ouch! lol I’m surprised you didn’t like this one. It’s one of my faves however, I can see what you mean about the characters in the book being a bit childish. The sequel is a bit more big kids storytelling if you ever decide to give it another go. Keith isn’t as big a prankster in that one and Maureen flushes out he characters a lot more in her sequel.